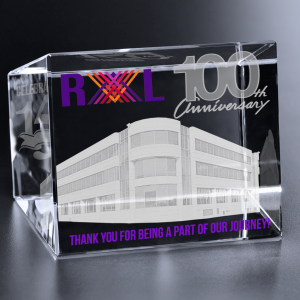 After 100 years in business, RXL, a metal fabricator, had established strong roots in the fabric and culture of the surrounding community. A small shop with only a few workers slowly grew into a robust company with a colorful history of quality and innovation. In time, the company passed ownership from one generation to the next. With each succession, the company evolved into a newer version of itself. As the anniversary date approached, the president and CEO began to envision the celebration of the 100-year milestone. He traced the story of the company back to the very beginning and found that one thread tied the entire story together, and that was the personal stories of the RXL employees. To commemorate its 100-year anniversary, the company celebrated with a number of small, department-specific celebrations for employees and their specific customers, along with an astonishing “red carpet” style recognition event for all the employees. The recognition event was the first “red carpet” style event the company had arranged, and it was a big hit. 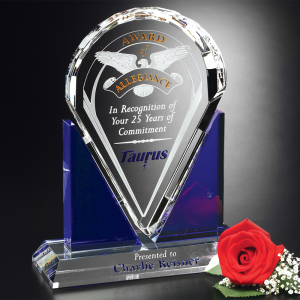 Employees appreciated the personal recognition and a chance to celebrate such a meaningful milestone with a company that had a long and strong history. 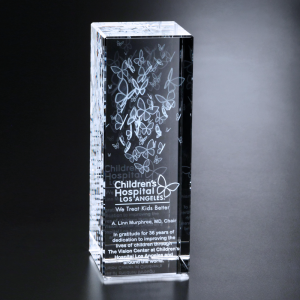 Each employee received an etched and colorfilled Collier Trapezoid Cube featuring a three-dimensional replica of the company headquarters. Click here to download the company milestones flyer.